Olga is a DSWA Certified Trainer and Certified Coach. She has over 27 years of experience as a direct selling professional. She was a leader in the field and held corporate positions in one of the world’s largest global direct selling companies. Olga has grown both Spanish and English speaking sales teams. She trains all of DSWA’s programs in both languages. 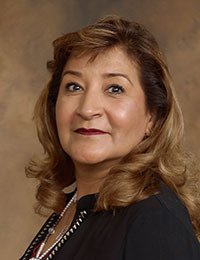 Coaching and mentoring came natural for Olga as she has volunteered her services in her local community of El Paso, TX. She partnered with Child Protective Services as well as mentored youth at the Texas Juvenile Justice Department.